With Christmas round the bend, it is a good time to review this children’s book. 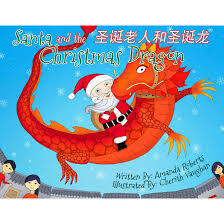 This children picture book tells the story of how Santa got to China. It is bilingual – presented in English, Chinese characters and Mandarin pinyin. I had expected an education on Chinese culture, and how both cultures perceive Christmas. 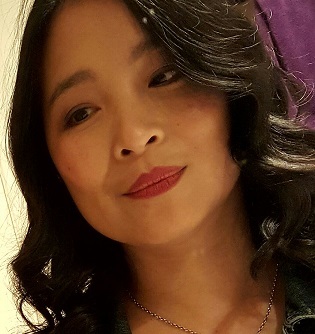 Instead, this book seeks to cross cultural boundaries, to connect our humanity through common themes – in this instance, good boys and girls deserving of gifts, and how gifts are welcomed. It encourages cultural sensitivity and understanding. I so want to know what the Dragon and Santa learned of each other’s culture. I wish the fonts were larger and less ‘curly’; legibility is worth noting given the age of children to which it seems to target. The Chinese translation is appropriately lengthier to fit the rhythm of the Chinese language, its tone familiar to Chinese readers. There are a few discrepancies, perhaps only to adult readers like myself. I will not list them, as this is a book for the young and their imagination. I see no need to taint it. Overall, an entertaining read. This beautifully illustrated bilingual children’s book will delight young readers.